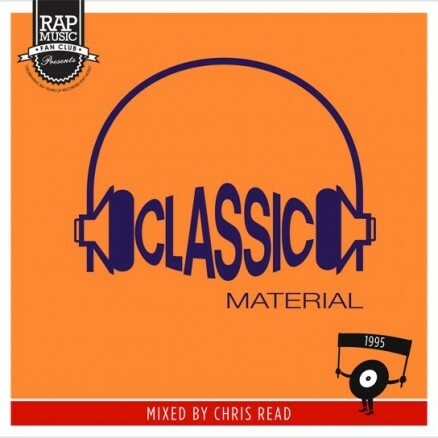 Edition #9 of our monthly Classic Material series pays tribute to the hip hop of 1995. The output of ’95 arguably typifies what is often referred to as the ‘mid 90s sound’, with filtered and layered grooves accompanying crisp programmed drums at a tempo generally far lower than in previous years. The general trend for decreasing tempos peaked in ’95 with a significant proportion of single releases barely breaking the 90bpm mark. The Classic Material Edition #9 party takes place at the City Arts and Music Project in London on Saturday 16th July with special guests Matman and Daredevil (ITF / DMC Champs). You can also download bonus tracks originally featured on the Classic Material Edition #9 Mix CD. The CDs have long since sold out but you can now get the bonus tracks via Bandcamp. Featured tracks include Chris Read remixes of classics by Mobb Deep & Erick Sermon and a bonus megamix of popular cuts released in ’95.